Balaji Green City in New Panvel, Mumbai Navi by Tirupati Balaji Builcon is a residential project. The size of the Apartment ranges in between 426.0 sq.ft. and 926.0 sq.ft. The size of the Studio Apartment is 426.0 sq.ft..
Balaji Green City offers facilities such as Lift. Bank loan approved from Citi Bank, Punjab National Bank, AXIS Bank LTD., LIC Housing Finance Ltd., Indiabulls, L & T Finance, Dewan Housing Finance Corporation Limited (DHFL) and IIFL Home Loans. It is a ready to move project with possession offered in Dec, 2018. The construction is of 5 floors. In which area is Balaji Green City located?The project is situated in New Panvel, Mumbai Navi. 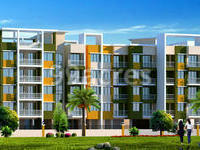 What is the area of apartments in Balaji Green City? 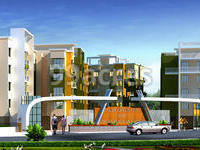 The area of apartments offered in the project ranges from 426.0 sqft to 926.0 sqft. What is the area of 1 bhk in Balaji Green City? 1 BHK units in the project are available in a size of 426.0 sqft to 558.0 sqft. What is the 2 bedroom size in Balaji Green City? 2 BHK units in the project are available in a size of 926.0 sqft. Does Balaji Green City have kids play area? The project doesn't have kids play area. Is there a club house in Balaji Green City? The project doesn't have a Club House.